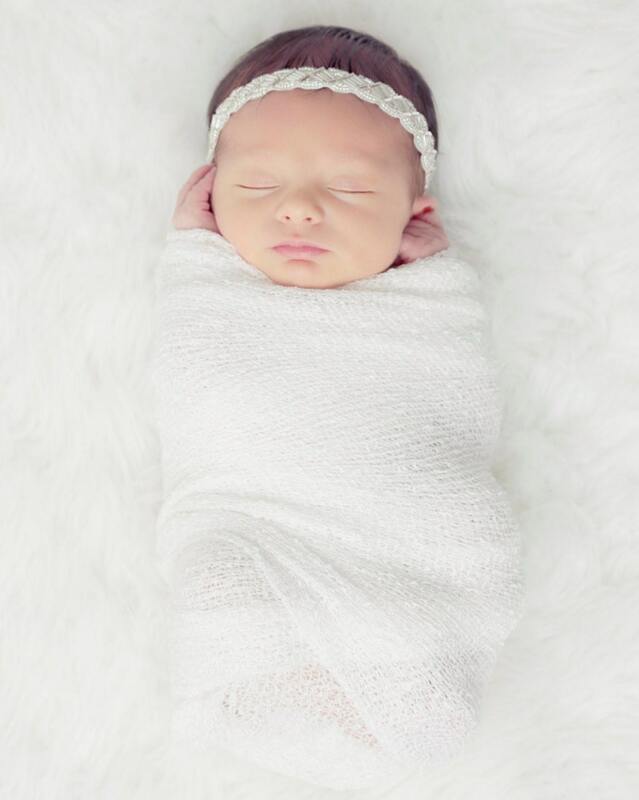 Newborn Baby Wrap in White with Glass Beaded Rhinestone Headband for newborns for photo shoots. Headband measures 13 inches and fits newborn through 6 months. 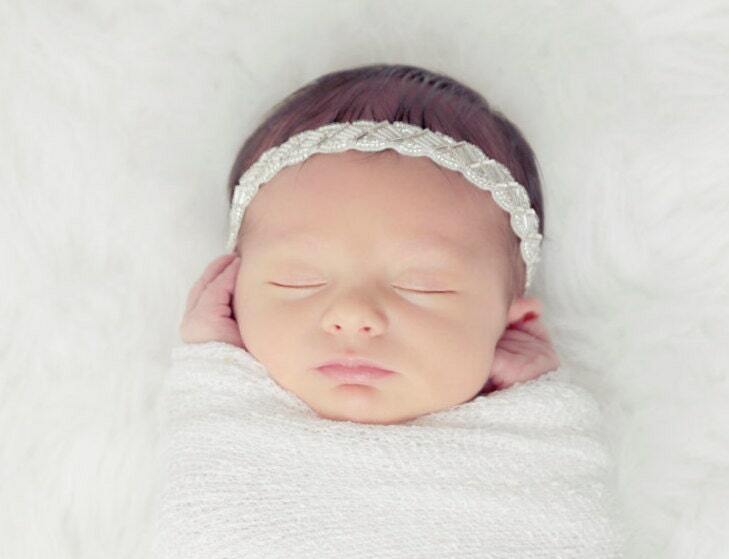 Wrap AND Headband - headband in newborn set is 13" for newborn to 6 months. 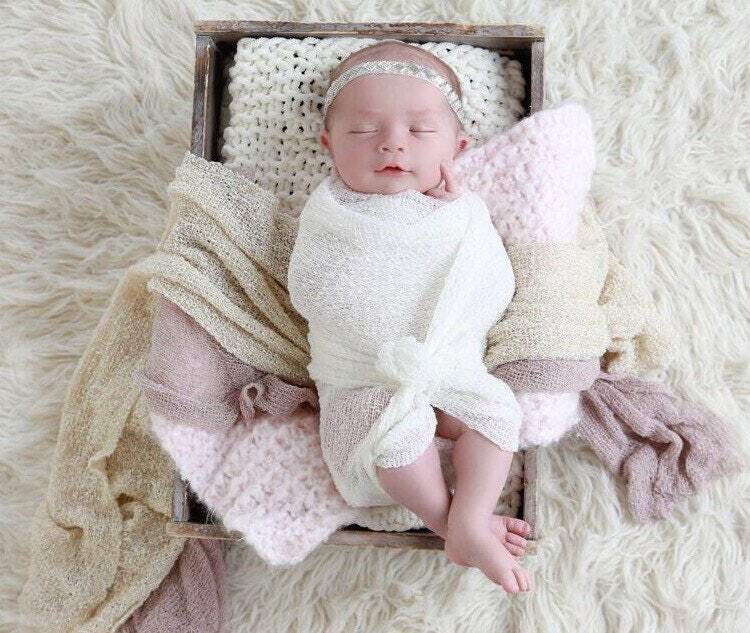 Very nice swaddle for newborn photos! 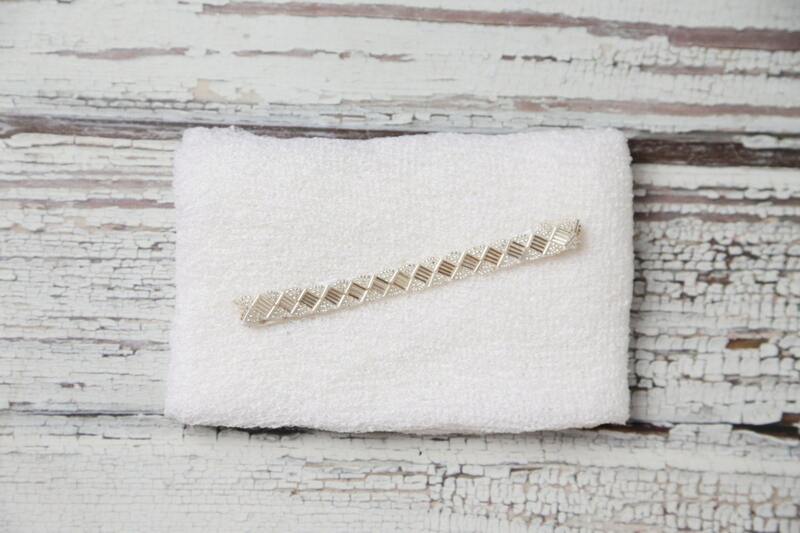 Crisp white color and good quality material. Thank you!